Over 1.2 million sportsmen and enthusiasts continually rely on Randy Wakeman Outdoors for candid, reliable hunting and shooting information. This is the independent resource for candid, hard-hitting firearms information, evaluations, and opinions. 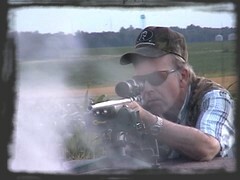 If it is hunting and shooting with muzzleloaders, shotguns, handguns, slug guns, or rifles: it is Randy Wakeman Outdoors. This site is extensive. Articles are sorted into thirteen different categories with thirteen main index pages easily found by clicking on the above menu. Additionally, using the search bar below can help you zone into the areas of your interest quickly. REVIEW: 2018 Orvis Fabarm Elos D2 20 Gauge O/U, the Shotgun of the Year? 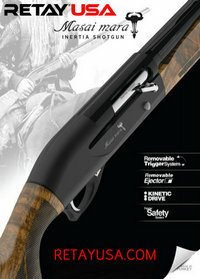 Fabarm L4S Hunter: The Best All-Round Shotgun? You'll find comprehensive coverage of the the latest in shotguns, muzzleloaders, optics, centerfire rifles, pistols, and a wide variety of hunting and shooting related topics. This site is constantly being updated and expanded; we hope that you enjoy your stay. Any and all contents of this website may not be copied, transmitted, displayed, performed, distributed, rented, licensed, sub-licensed, altered, stored for subsequent use, framed, or otherwise used in whole or in part in any manner without Randy Wakeman's prior written consent. You may not frame this site or link to any page in this site without the prior written consent of Randy Wakeman. ©1999 - 2019 by Randy Wakeman. All Rights Reserved. Please Note: Randy Wakeman, his agents, heirs and assigns, hereby disclaim all possible liability for damages including actual, incidental and consequential, resulting from usage of the information or advice contained in these articles. Use the data and advice at your own risk, and with extreme caution.